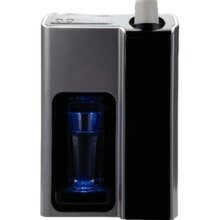 The B&O Elite hot and cold water dispenser will provide chilled and hot water at the touch of a button. Stylish Design and very functional this is likely to become a common site in offices and shops country wide. refrigerant. Thermostatic control regulated between 4°C – 11°C. THROUGHPUT PER HOUR – Direct Chill 18 litres cold 7°C / 6 litres hot at 90°C.